Whether you are a gamer who loves a heavy mouse or the one who finds a light-weight mouse the best tool, there is one thing that every gamer wants. Speed. More speed means you have more chances of winning the game. This is where the Corsair KATAR gaming mouse shines. It has zero acceleration with 1000 Hz polling rate and support for an 8000 DPI optical sensor that provides the speed you need. You can switch at anytime to the desired DPI while using its DPI switcher given on the mouse and beat your enemy. The company says that they have designed the Corsair KATAR gaming mouse by enlisting the help of professional gaming teams, but that is a matter only they know about. On the user side, this mouse has two faces per its weight and design. One is good and one is bad. It is good for those who love to use an ultra-light mouse that does not make them feel tired due to weight. Second, it is good for those who want both a lightweight mouse without a thumb rest because for many gamers, thumb rests are a disturbance. 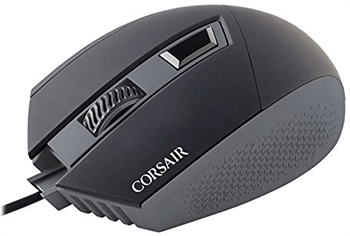 I do not recommend the Corsair KATAR gaming mouse for those who want a heavy mouse because it weighs only 3 ounces. It is also bad for those who want a thumb rest because with thumb rest they can give their thumb rest and, therefore, playing for hours never become a a bother. It is also bad for those who want more programmable buttons because the Corsair KATAR gaming mouse has only 4 programmable buttons that include left, right, DPI switcher, and scroll. Its scroll is fast and you will not feel lag while using it. As far as the number of buttons is concerned, not every player wants more buttons. Some gamers love to play, even the games like FPS, MOBA, etc. 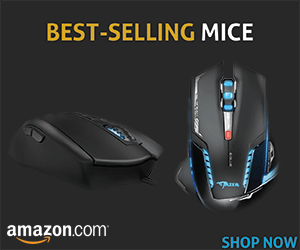 with fewer buttons and if you are one of those then this mouse is for you. Its cost is affordable compared to the programmable gaming mouse with the support of 8000 DPI. 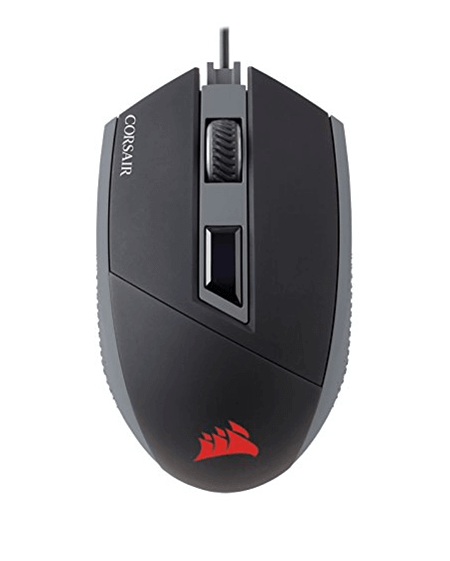 Such mice often cost 60 USD or more, but Corsair KATAR is available for much less.